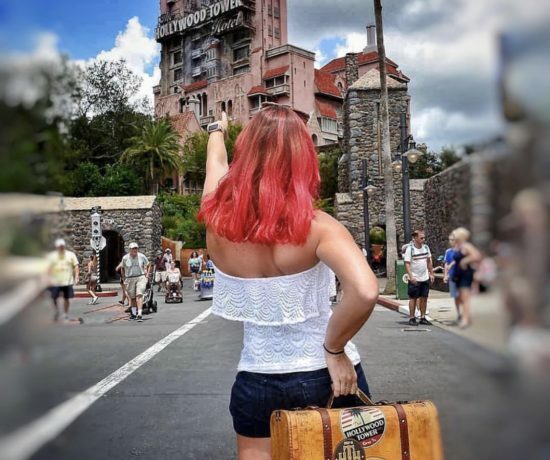 This way, by the time you’ve finished reading, you’ll be parked in the Lime Garage at Disney Springs and just about 500 paces from The Polite Pig. 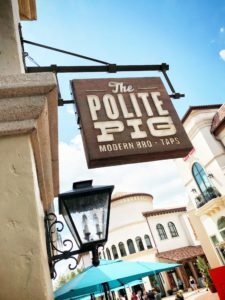 Yesterday, The Polite Pig in Disney Springs was kind enough to host me and a couple of dear friends to sample a food coma-inducing array of longstanding and new menu items and the experience only served to solidify my opinion that this is without question one of the absolute best counter service experiences on property. Calling The Polite Pig quick service, or counter service, almost feels like a misnomer. 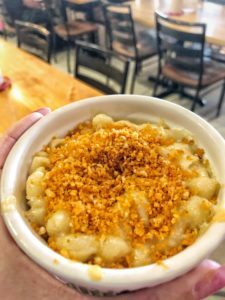 It has all of the casual feel of a counter service restaurant – and you do indeed order your food at the counter registers and sit to eat. But your food is brought to you. Which is HUGE if, like me, you’ve dealt with the kids and stroller and shopping bags and diaper bag and god-knows-what-else-in-tow experience and tried to add a food tray to that mix. But the big thing is that the relationship with the restaurant doesn’t end at the register. 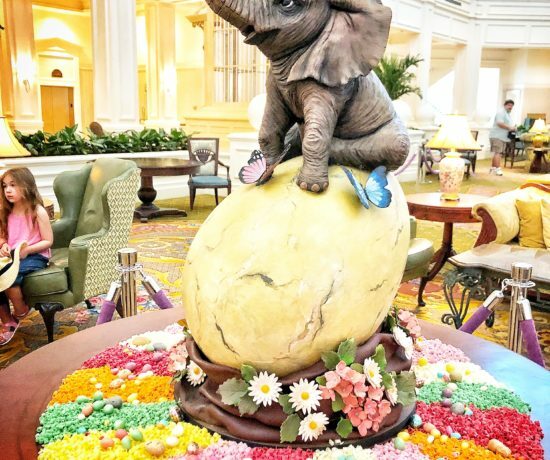 You will see the restaurant staff bustling around the tables as you eat, sharing a laugh, making sure that you have everything that you need, and otherwise just making it very clear that they care that you’re there with them. If you know me, you know I’m a stickler for a well thought out space. The Polite Pig is just that. It’s all exposed brick and subway tile and Edison bulbs and exposed ductwork and quirky art. The bar space is open and inviting and the covered outdoor area is perfection on a Florida afternoon. Nothing about it feels like it wasn’t thought out to the last detail. We tackled the extensive menu with the confidence of a group of foodies that had skipped breakfast. 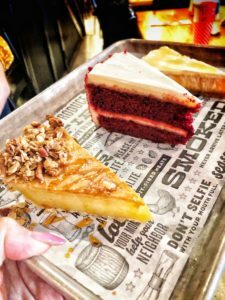 The food portion of the menu currently includes 4 shareables, 3 salads, 5 sandwiches, 7 meats from the smoker, a phenomenal shareable butcher board, a dozen market sides, and several desserts. Our choices for the day? 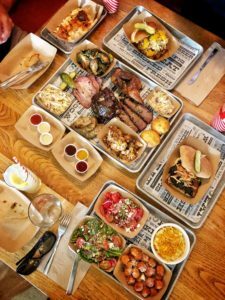 The new Burnt Ends BBQ Meatballs, Southern Pig and Low & Slow Brisket sandwiches, a butcher board of selections from the smoker, and half a dozen sides. 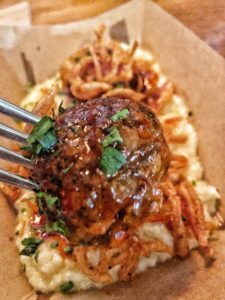 The newly introduced Burnt Ends BBQ Meatballs are made with house brisket, cheddar grits, and Layla’s sweet bbq sauce. These are not your mother’s meatballs. They’re rich and smothered and swimming in cheddar grits. 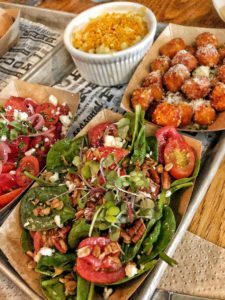 And they’re best when enjoyed with a long list of sides – like tomato and watermelon salad, bbq cauliflower, cripsy brussels sprouts, sweet potato tots, mac & cheese, and the new, seasonal, strawberry fields forever salad. 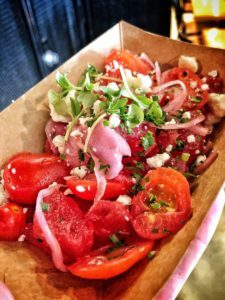 The tomato and watermelon salad with feta, basil, and pickled onions is a refreshing way to cut the richness of the soon-to-be-discussed meats. And it’s just a testament to how smart this menu is. I’d never think to pair this list of ingredients, but they work brilliantly together. And I’m a sucker for sweet roasted brussels and cauliflower – especially executed this perfectly. The brussels sprouts are glazed in whiskey caramel. And the bbq cauliflower is prepared with paprika, sour cream, and candied pepitas. 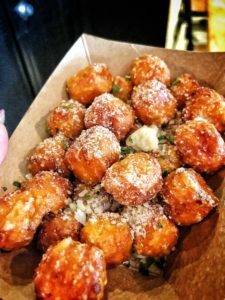 The sweet potato tots with parmesan and mac & cheese with aged cheddar and breadcrumbs are the definition of comfort food. 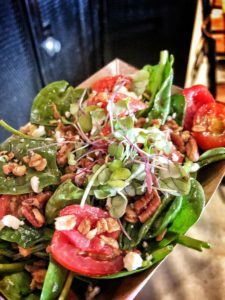 And that seasonal Strawberry Fields Forever salad?? Spring in a bowl. Each sandwich on the menu is more creative than the last. 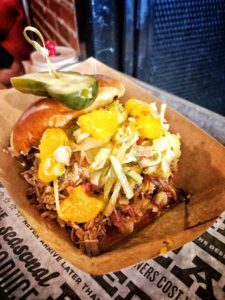 We went with the Southern Pig (brace yourself)…a pulled pork sandwich with fennel-apple slaw, tangy mustard bbq, and duke’s mayo. 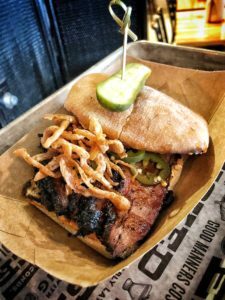 And the Low & Slow Brisket – prime brisket with pimento cheese, porter bbq, pickled jalepeños, and onion straws. Pick your poison without hesitation here, because nothing isn’t phenomenal. 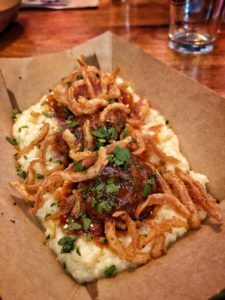 The Southern Pig is a clever mashup of incredible tastes and textures. The Low & Slow just melts in your mouth. But the king of the castle here is the stuff from the smoker. 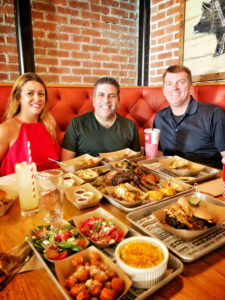 A great way to sample it all is the butcher board for two, which includes pork shoulder, smoked chicken, brisket, and bbq cheddar sausage with slaw, house pickles, 2 cornbreads, and a choice of 2 of the sides – including the ones that we just talked about. My one piece of advice here?? ADD THE RIBS. They are to die for. 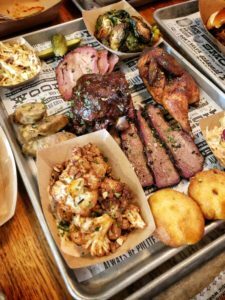 It’s fun to work your way through this platter with friends and decide which meats you like best – while also dipping a few bites into the different sauces that they offer up. 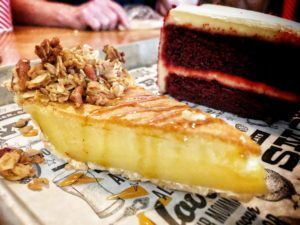 I loved everything – but my front runners were the USDA prime brisket with coffee rub and the babyback ribs with polite rub and Layla’s sweet bbq sauce. 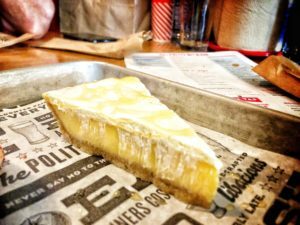 We sampled the red velvet cake (divine), buttermilk chess pie (like pecan pie and creamy curd had a baby that was better than either of them), and – my personal favorite – the orange blossom pie – which has the texture of the lightest key lime pie you’ve ever eaten and the taste of freshly squeezed orange juice. 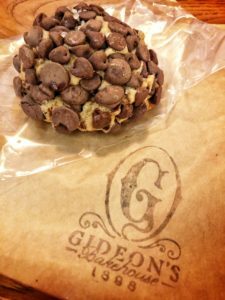 And then, last but not least, we scored a few of the hugely popular and incredibly difficult to grab Gideon’s cookies. 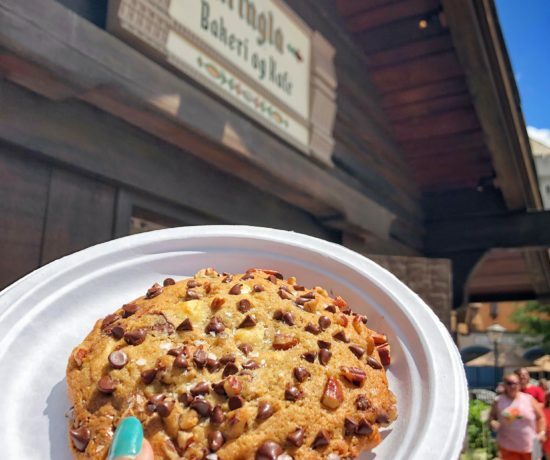 Though to call this a cookie is a bit of a misnomer. It’s more like a mound of some of the best chocolate chips you’ve ever eaten, rolled together with soft cookie dough, and sprinkled with course salt. These are some of the richest cookies I’ve ever had. You could blissfully share one amongst a family of four. 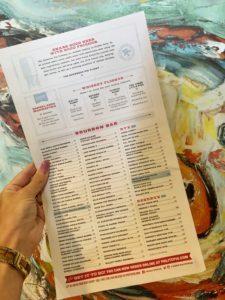 And then, if you turn the menu over, you’ll find whiskey flights and perhaps The Polite Pig’s best kept secret – a bourbon bar with around 90 incredible options that make it a destination for any bourbon lover visiting or local to Disney – whether or not they could give a lick about bbq. 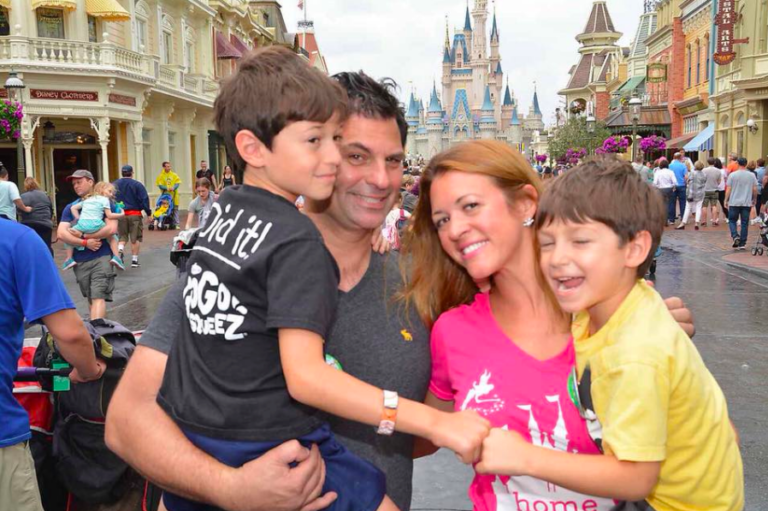 What it proves about the Disney experience. 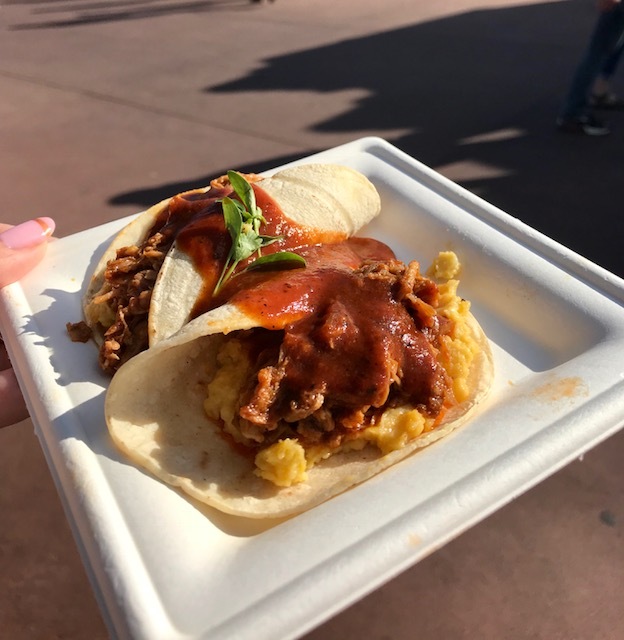 One of the things that breaks my heart the most about people planning their Disney trips are the endless posts complaining about the level of planning required – the impossibility of knowing where you’re going to eat 6 months in advance – the stress of scoring ADRs and Fast Passes. 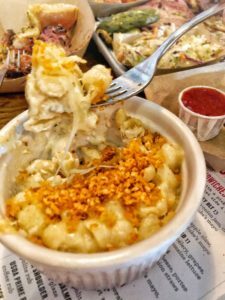 The Polite Pig is proof positive that some (if not most) of the best things on property can be done with no planning at all. 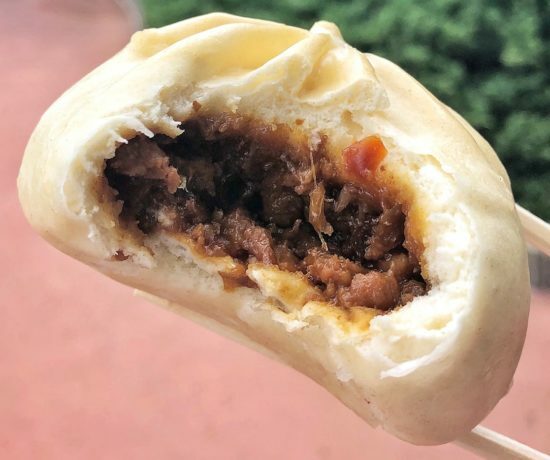 A large group can wander up to the queue at The Polite Pig and score a phenomenal meal and a table with no notice at all. 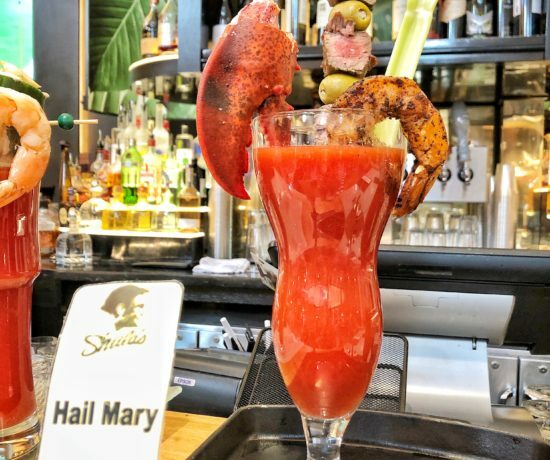 A group of adults can spontaneously gather ’round the bar for cocktails and bourbon at any time of day. 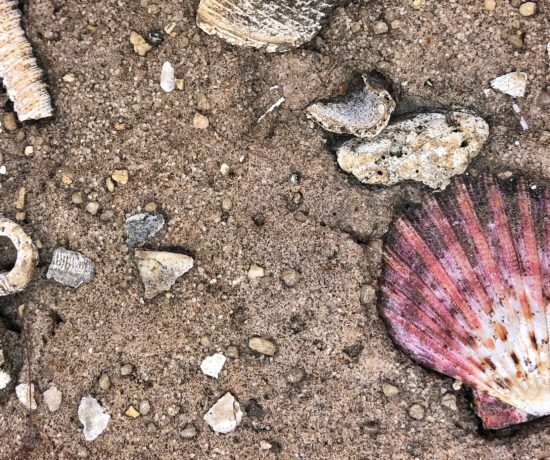 It’s the kind of off-the-cuff incredible experience that you’ll go home talking about – and you’re not going to have to schedule it months before your trip. I cannot wait to get back to this spot and this menu. 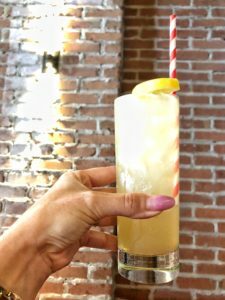 Have you had the chance to visit The Polite Pig yet? If so, what did you love the most? And if not, what are you waiting for? ?